Then You Need This Tool! Many people want to write a nonfiction book but they don't know about proposals. Typically they start with a blank page and an idea, and they write their entire manuscript. These unpublished writers do not understand how 80 to 90 percent of nonfiction books are sold. Because of a lack of understanding, unpublished authors never sell their book manuscript to a publisher. If you want to sell your book idea, then you need this ebook! Follow this link to read an excerpt. This mysterious document includes many elements that will never appear in their manuscript—yet these elements are critical factors to publishing executives who will make a decision about whether to publish or reject their project. Author W. Terry Whalin has written more than 60 nonfiction books (all with traditional publishers). He understands what is required to produce a nonfiction book proposal. He has collaborated with a number of different people on nonfiction book projects. Also Terry is an acquisitions editor—often the first person to read these nonfiction book proposals. This book contains his insight and experience regarding book proposals that sell. His stories and insight will show you how to avoid the pitfalls of rejection. If you want to write a book, then your first step is to learn how to write a book proposal. 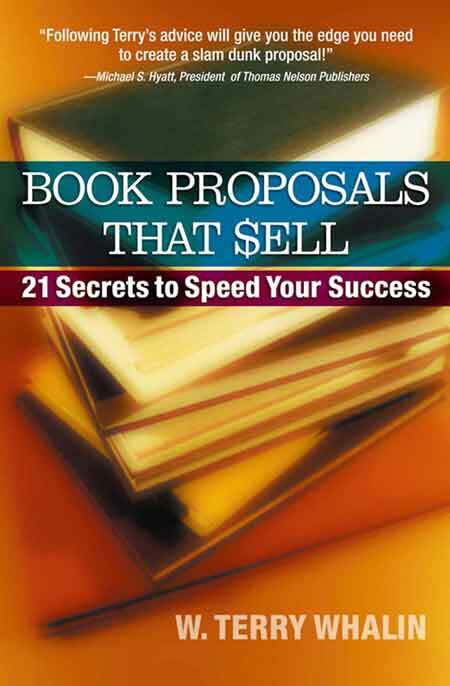 You need Book Proposals That Sell, 21 Secrets To Speed Your Success and you can have this product in a few instant clicks. Besides the ebook, Book Proposals That Sell includes a real nonfiction book proposal that Terry wrote (and an agent sold) for a six-figure advance from a traditional publisher. Besides several valuable appendices in this ebook, I'm including several bonuses with each purchase. 1. The Ultimate eBook! by Tom Hua which includes top quality ebooks that you can read, resell or give away to others. 2. Copyright Basics ebook that explains copyright law in an easy step-by-step format. Your success in using Book Proposals That Sell is completely guaranteed. There is absolutely no risk, whatsoever on your part. The burden to deliver is entirely on me. use this link.